Because grief doesn't take holidays off. A practice to honor the mothers we have lost and for mothers to honor the children they have lost. We will gather on the peaceful outside deck at Indigo Dragon. Come as you are. Bring a yoga mat. The practice includes slow, full-body movement. If you wish, bring a memento or photo of your loved one for our memory circle. Location is outside, wear layers. 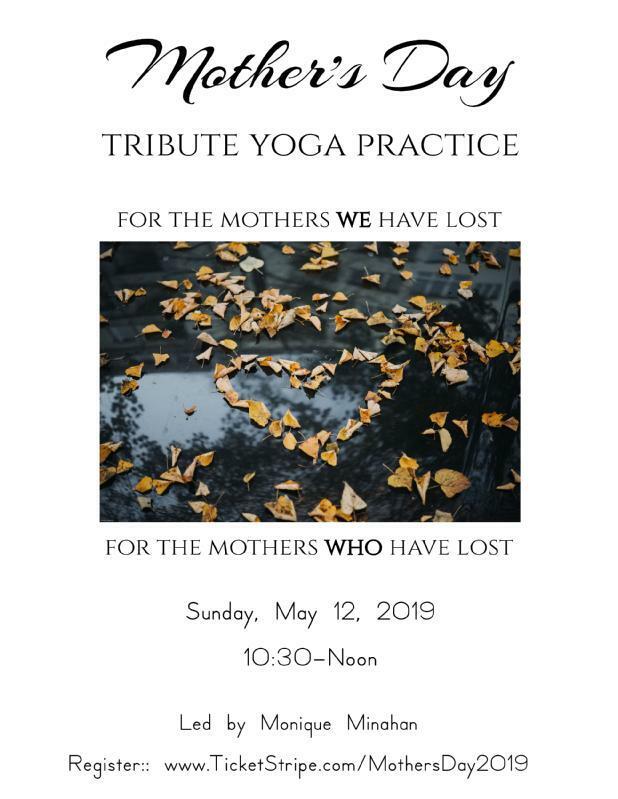 Led by Monique Minahan, creator and author of The Grief Practice: Trauma-informed yoga that welcomes grief.